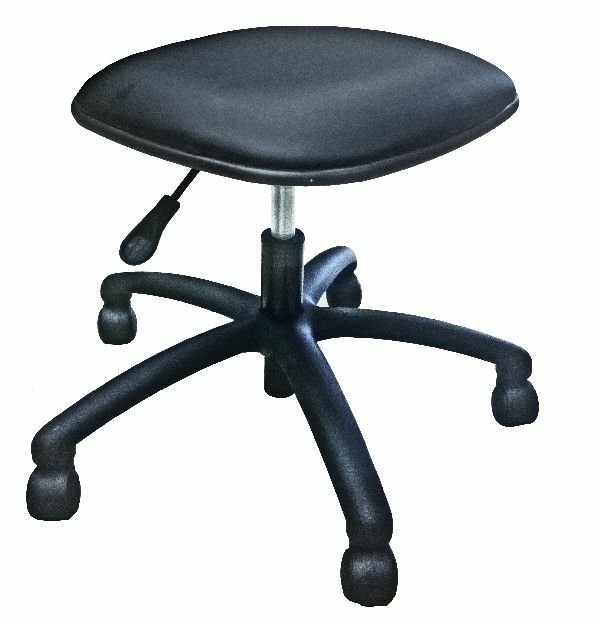 Low-Profile pedicure stool w/ gas lift and casters. Seat height adjusts from 16" to 21" from floor. Closeout item. Available while supplies last.